Winners please e-mail me your addres and I'll send books out next week!! Congrats to everyone! Well, I'm finally back home after what ended up being a very long week! I was away for the weekend for my intro to grad school (yay for starting my Master's in Library Science!) but on the way back home my car slid out on the ice and I crashed into a guardrail on the highway. It was a pretty scary experience, but the car is driveable, so there's still good news. I then got stranded in Oklahoma for two days and finally made my way back home yesterday, after many delays, windshield wiper, and snow problems. I am so happy to be sleeping in my own bed again. I hope you all had better luck in this icky weather than I did. I'll be posting the contest winners later today-once I get a chance to finish catching up on everything. Stay warm everyone!!! 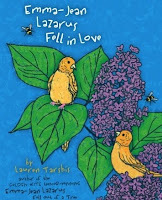 About the Book: This story takes place about eight weeks after Emma- Jean Lazarus Fell Out of a Tree. Emma-Jean has developed a crush on Will Keeler and is hoping she can dance with up at the seventh grade dance. Her friend Colleen is worried that no one will ask her to the dance, but when a note shows up in Colleen's locker, Emma-Jean decides to help Colleen find her secret admirer. GreenBeanTeenQueen Says: I just fell in love with Emma-Jean when I read Lauren Tarshis' first book, so I was thrilled when I saw on her site a sequel is due out in May! Emma-Jean is a grea character and one you will remember, so if you haven't read Emma-Jean Lazarus Fell Out of a Tree, get your hands on it now-trust me, you'll be glad you did! 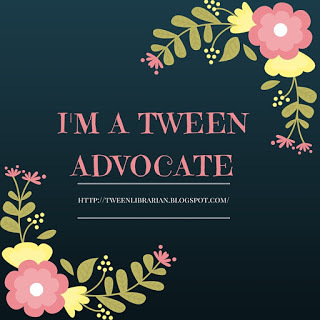 GreenBeanTeenQueen Says: I came across this one in my Shelfari searches and I knew I had to read it! The cover is just beautiful and the story sounds like a great fantasy/fairy tale, which I'm always up for reading. Look for this debut author's book to come out March 3. About the Book: Ok, I can't really say much about this one without giving away the story, so you'll just have to read my review of book one in the series, Found. so I guess I'll forgive her. This series is a great action/adventure/suspense read that's great for all ages, so I'm looking forward to sharing this one with my brother, who is also eagerly awaiting August. What's our your list this Wednesday? It's a new week, so here's the newest batch of books! Comments, Following and Sharing this contest all get you entries. Winners, please contact me with your mailing address and I'll get your books out soon! Congrats to all! A new round of books will be up tomorrow, so stay tuned! Today is my wonderful fiance's birthday, so I am letting him guest blog about his favorite audiobooks. He also has a sports and politics blog, so if you (or anyone you know) are interested in either one of those, check him out at The Cognitive Cacophony. Now I know that this series is old news by now and most of us have found out Harry’s ultimate fate already, but what most people do not know is that the Audio books performed by Jim Dale are some of the best ever made. About the books: This series chronicles the story of Harry Potter, a orphaned British boy with a lightning shaped scar on his forehead who discovers that he is a wizard. Harry, who is a famous hero in the secret “wizarding world”, leaves his muggle (non-wizard) family to attend Hogwarts School of Witchcraft and Wizardry. As he makes his way through a world of magic that he never knew existed, Harry discovers that his fate is somehow entwined with Lord Voldemort, the most evil wizard to have ever lived. Andy says: J.K. Rowling crafts a masterful story and Jim Dale’s execution of over 400 different character voices are a joy to listen to. Jim Dale’s dulcet tones describing Rowling’s vibrant characters and majestic backdrop weaves its own spell around the listener. My only criticism is that Dale’s voices for the young female characters still sound a bit masculine. However, the whole of his performance more than makes up for this one shortcoming. I give these audio books 5 stars and I cannot wait to listen to them with my children. And because I can’t wait I will get them from the library again soon. I would love to hear what you think about Jim Dale's performance. Please put any comments below. About the Book: When Danny visits the museum, he discovers that there's a dinosaur there that's still alive! Danny and his new friend the dinosaur end up spending a fun filled day together, playing hid and seek, helping people cross the street, and giving rides to Danny's friends. GreenBeanTeenQueen Says: Danny and the Dinosaur was one of the books I had my parents read to me over and over again. I would take it bed with me and read it every day. I even heard the story so much, I could recite the story and knew when to turn the pages to make it look like I was really reading it. I'm not sure if it was the idea of having a fun dinosaur as a pet or the pictures or the simple story, but something about this book made me smile every time I read it. I went on to learn to read to all of Syd Hoff's books and Danny and the Dinosaur helped me become the reader I am now. This book will forever hold a special place in my heart. Thanks for teaching me the joy of reading, Danny and the Dinosaur! More Want It Wednesday, only this time it's not books! Sometimes in my blog travels, I come across items that aren't books, but I still love and wish I had. These are various things that I've found while reading blogs that I now want for myself. Ok, seriously, how cute are these shoes??? I saw them on Meg Cabot's website last week and I have been lusting after them ever since! If only I had a good place to wear them. As cute as they would look at my school visits for summer reading, I'm afraid I'd end up tripping over myself. (Which surely would entertain the teens!) I just had to share with everyone, because they deserve to be shared. This Twilight thing has gotten so out of control, there's now Twilight perfume! I guess that's what happens when you can't think of anything else to market the movie. Yes, Harry Potter has Chocolate Frogs and Bertie Bott's Every Flavor Beans, but at least those were in the books. The perfume-not so much. But I must admit, as silly as I think it is, it's in a pretty cute bottle. I just hope it smells good, or my library will be full of funky smelling teens! Thanks to Lauren at Shooting Stars Mag for blogging about this today. I too am offically in love with this coin purse. How cute is this thing?? You can find them in all sorts of colors too, which is so much fun. Nikki Fingers used to be the fastest and most feared shooter at “The Frank,” but at the beginning of seventh grade decides for a fresh start. But when Nikki is taken out, seventh grade detective Matt Stevens is hired. Could it have been her former boss, Vinny? The boy who had a crush on her? Or one of the many students at "The Frank" with a reason to hate Nikki? Matt only has a week to find out or he might find himself in “the outs” as well. GreenBeanTeenQueen Says: Does anyone else remember the movie Bugsy Malone? It's had a young Jodi Foster and Scott Baio and a cast of other young teens in a gangster setting. This book reminded me a lot of that movie-kids in typically adult roles. That said, this book was very clever. It’s wonderfully written in a clever noir style that kept me laughing and guessing all night. It reads just like an old pulp detective novel and includes many of the characters you would expect to be there - the mob boss, the hired guns, the detective, the girl crush - only this time they’re in sixth and seventh grade. There were so many things sprinkled in this story that made me smile. The kids who would do anything for a pixy stick rush, the frazzled newspaperman, and the kid-owned sandwich shop all added to the style, and I felt like I really was transported back into one of those old pulp detective novels. The mystery had plenty of twists and turns and kept me guessing and second-guessing who did Nikki in. The dialogue is witty and snappy and is full of humor. 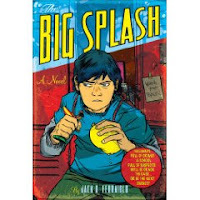 Although the setting is middle school, readers who have gotten through their middle school years are sure to enjoy THE BIG SPLASH, as well. Fans of great detective novels or gangster stories should add this one to their reading pile! I’m looking forward to reading more from Jack D. Ferraiolo - and hope that Matt Stevens is on another case soon! The other thing Antonia is dreaming of is her first kiss. She’s hoping it will be from the very cute love of her life Andy Rotellini. There’s also Michael McGinnis, who Antonia was friends with a couple of summers ago. Her friend Maria seems to think there’s something between them, but Antonia doesn’t want to agree. 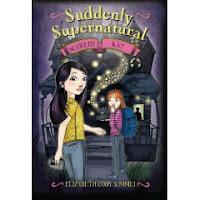 GreenBeanTeenQueen Says: When I first read about this book, I thought "hmm, sounds cute, but how interesting can a story about a girl obsessed with saints be?" But I was wonderfully surprised! This story has heart and a wonderfully cohesive family that you don't see often in teen fiction. I loved spending time with Antonia and her big Italian family and Antonia's side comments about being a Catholic School Girl always made me laugh out loud. I also give big cheers to Maria, who is a great example of a true best friend. Overall, this is a fun story that is a great feel good read. I would recommend to anyone looking for a smart romance with a great cast of characters. Thanks for all the entries into week one's contest! There's a new batch of books up for grabs this week. You can still get more entries for following my blog, all blog comments, and sharing about this contest. Winners posted on the 16th. About the Book: Thirteen years ago, a plane mysteriously landed, and the only people on board were babies. Now, thirteen-year-old Jonah and his friend Chip are beginning to receive anonymous letters in the mail that say "You are one of the missing" and "Beware! They're coming back to get you." Who is after Jonah and Chip? And how can they find the answers to who they really are? 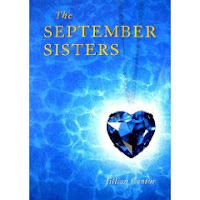 GreenBeanTeenQueen Says: One thing I love about this book is that it's such a great sell to my tweens and teens. 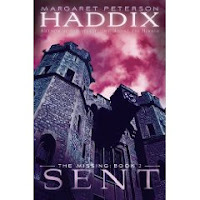 They love anything written by Margaret Peterson Haddix, so they were thrilled when this book came out. Add in a short suspenseful booktalk and they're off reading which makes this librarian smile. The audiobook for this book wasn't wonderful, but it wasn't terrible either. The narrator had a soothing tone that actually added to the suspense of the story. There were several times I didn't want to turn it off because I wanted to know what would happen next. The voices weren't very distinct though, which made the characters blend together at times. The story itself is great and has a neat twist that I hadn't figured out. There's plenty of action and suspense to keep readers reading well into the night. Right after I picked up my copy, one of my teens came up to me and said he had just listened to the audiobook and did I know when the sequel was coming out because he couldn't wait! After finishing this one, I have to agree. SENT (THE MISSING BOOK 2) is out on August 25th, and if you're not a fan of cliffhanger endings, I would wait to read FOUND! About the Book: Since the accident that killed her family, Ever can see auras, hear people’s thoughts, and know a person’s life story just by touch. She also has regular conversations with her dead sister. She didn’t ask for these new talents and her efforts to hide her gifts have left her a freak at her high school. But when Damen Auguste enters the picture, everything changes. Damen is movie-star gorgeous, mysterious, and the one person who can block all the psychic energy Ever keeps trying to avoid. Damen and Ever are drawn to each other, but Ever can’t shake the feeling that there is something that he’s hiding. He’s the only person that Ever can’t read anything about. Damen has no aura, Ever can’t hear his thoughts, and she has know idea who - or what - he really is. GreenBeanTeenQueen Says: First off, how can you resist that cover? It's so beautiful and mysterious and it captures the story perfectly! Every once in awhile, a book comes along that I end up getting sucked into and become addicted. EVERMORE was one of those books. When I wasn’t reading, I was thinking about how I could sneak away to read some more. I couldn’t put it down. I dreamt about this book. When I finished, I couldn’t get it out of my head. This book was simply breathtaking. Ever is a wonderfully realistic character that grows throughout the novel. The guilt she feels over her family’s accident and her grieving process are heart-wrenchingly real, as is her growing acceptance of her new psychic gifts. I also loved the scenes with Riley, Ever’s little sister. Who knew a ghost could be so funny and charming? I know she’s just waiting to have her own series written about her. And Damen…well, what can I say - I’m in love. If you’re looking for a new lit-boy crush, Damen is it. Alyson Noel knows how to write for and about teens, and this is one of her best books yet. I can’t wait to find out more about the mysterious Damen and step into Ever’s world again. 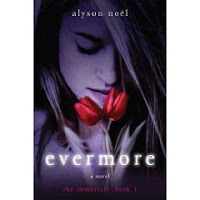 Combining mystery and romance, EVERMORE is the beginning of the next must-read paranormal series. Be sure to get your hands on this one - you’ll be swept away. Aww..thanks so much! :) Lauren at Shooting Stars Mag awarded me with this beautiful butterfly. She has an awesome blog (actually she has several awesome blogs, all of which I love reading!) So check her out! 2. Add a link to the person who awarded the blog to you. 4. Add links to the blogs you award onto your blog. I've decided to change up my Want It Wednesday posts just a little and only feature two or three books so I can include a little bit about the book as well as the pretty cover! About the Book: (from Amazon): Abigail Reed and her younger sister, Becky, are always at each other's throats. Their mother calls them the September Sisters, because their birthdays are only a day apart, and pretends that they're best friends. But really, they delight in making each other miserable. Then Becky disappears in the middle of the night, and a torn gold chain with a sapphire heart charm is the only clue to the mystery of her kidnapping. Abby struggles to cope with her own feelings of guilt and loss as she tries to keep her family together. When her world is at its bleakest, Abby meets a new neighbor, Tommy, who is dealing with his own loss, and the two of them discover that love can bloom, even when it's surrounded by thorns. GreenBeanTeenQueen Says: This one is from a debut author, so if I decide to do the '09 debut author challenge, I'll be one author in with this one-yay! I've read some great reviews and heard some buzz about this book and even some whispered comparisons to Sarah Dessen-so I can't wait to read this one! So what are you wanting this Wednesday? From the Book: If Naomi had picked tails, she would have won the coin toss. She wouldn't have had to go back for the yearbook camera, and she wouldn't have hit her head on the steps. She wouldn't have woken up in an ambulance with amnesia. She certainly would have remembered her boyfriend, Ace. She might even have remembered why she fell in love with him in the first place. She would understand why her best friend, Will, keeps calling her “Chief.” She'd know about her mom's new family. She'd know about her dad's fiancée. She never would have met James, the boy with the questionable past and the even fuzzier future, who tells her he once wanted to kiss her. She wouldn't have wanted to kiss him back. GreenBeanTeenQueen Says: I picked this book up on audio recently because it's on next year's Gateway Awards. Since I'm trying to read them all in the next few months, I'm listening to the one I can on audio. I am so glad I picked this one up! This is one audiobook I could listen to over and over. I fell in love with the story and the characters and never wanted to stop listening. I started it at work in my office, and then kept it going in my car and then as I wrapped Christmas presents when I got home. I was addicted! I loved the story-it had mystery and romance and an interesting spin on the whole coming of age story, since Naomi loses her memory and has to start things over and figure out who she is now. I thought the narrator, Caitlin Greer, had the perfect reading voice and I felt she really captured Naomi's voice throughout which made listening very enjoyable. I can't wait to read more from author Gabrielle Zevin! Don't forget all entries will go in the grand prize drawing to win a $15 Amazon Gift Card and prize pack of books! Drawing will be held Jan. 9. Happy 2009 everyone! I hope it's the start to a wonderful year for all. Since I love to read and I love books, there's nothing that makes me happier than getting books. So I'm going to help you out and start your New Year with books! Each week in January, I will be giving away books. Some books will even been signed copies! At the end of the month, all entries will be put into a drawing for a $15 Amazon Gift Card and a prize pack of books! Drawings will be held on Jan. 9, 16, 23 and 30.